It is Very Cold on the Eastern Front…. I am trying to popularise a decorating style… Adventurer Chic – A mix of steam punk, industrial, tribal with comfy cushions…. or in other words, my house…. However my usually cosy house is very frosty today… My heating system has gone down on me (insert smutty joke there if you must), and will not be up again till at least monday afternoon…. So icy seems to be the word of the day… It is being applied to living conditions, and interactions too… I tried to be non frosty today and got it thrown back in face… Silly me…. 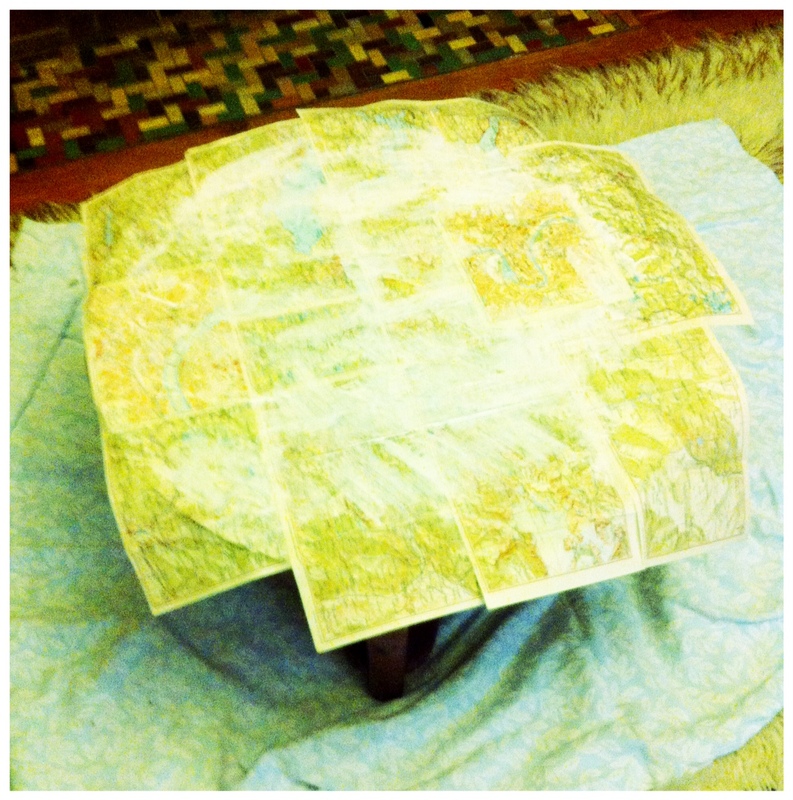 The other issue with the lack of heating, as the temperature hasn’t risen beyond 10 degrees today, is the Map table is taken a very long time to dry…. which means no thick shiny, smooth coating till the heating is fixed….. So for now you will just have to imagine what a difference a 5mm coat of resin will look like…. ….. All ready for a trip across the border, without a passport…. 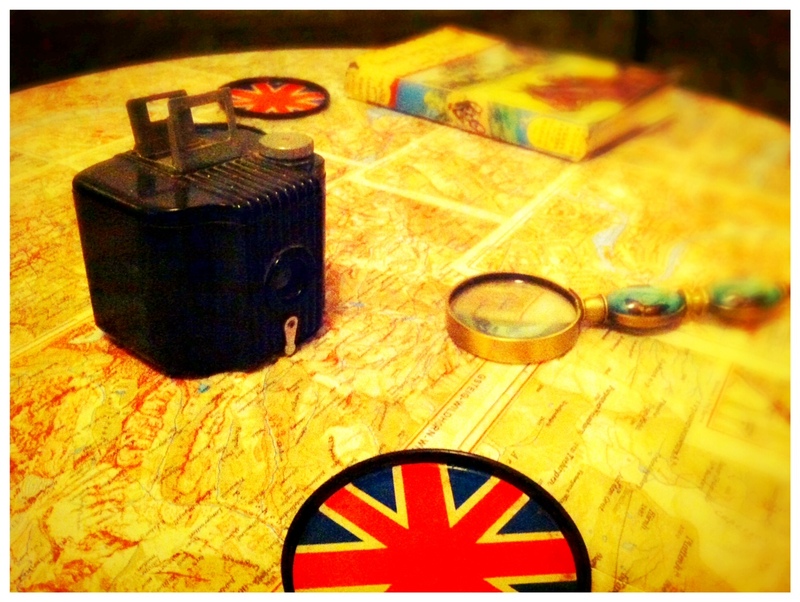 Maps for when you lose your way…. 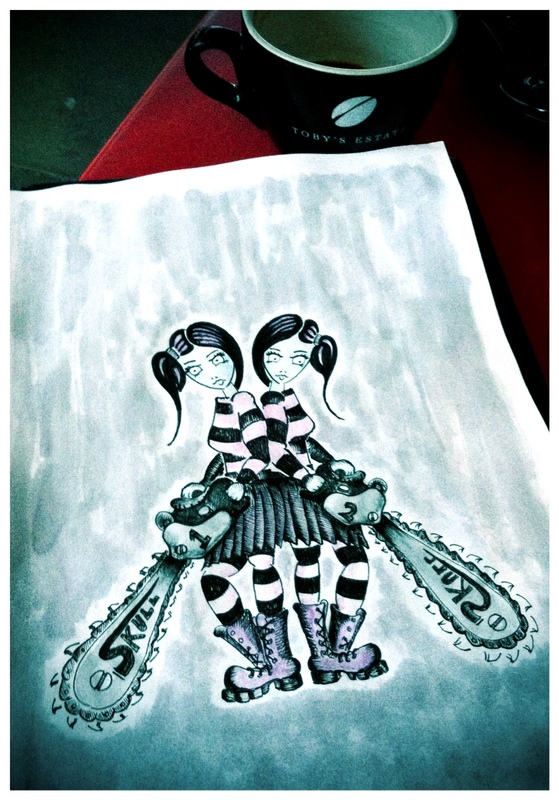 Does twins make up for a day? Probably not…. In an attempt to halt the train wreck I have going on at the moment, I have started re-decorating the house (again)… increasing my work room size and also moving the lounge room to the cosy centre of the house… The best way to get back in control is to get stuck into things I can control… So expect a few updates of the house being re-styled, both here and on the Face Book page…. 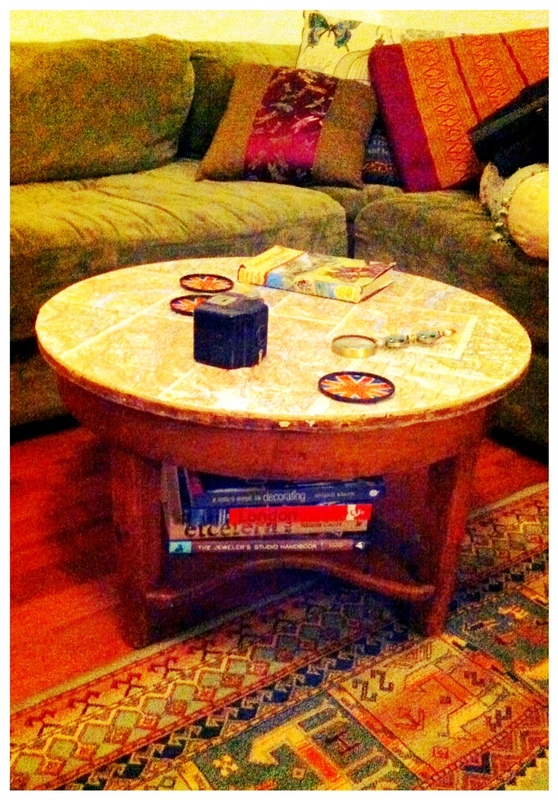 The new lounge room needs a side table…. 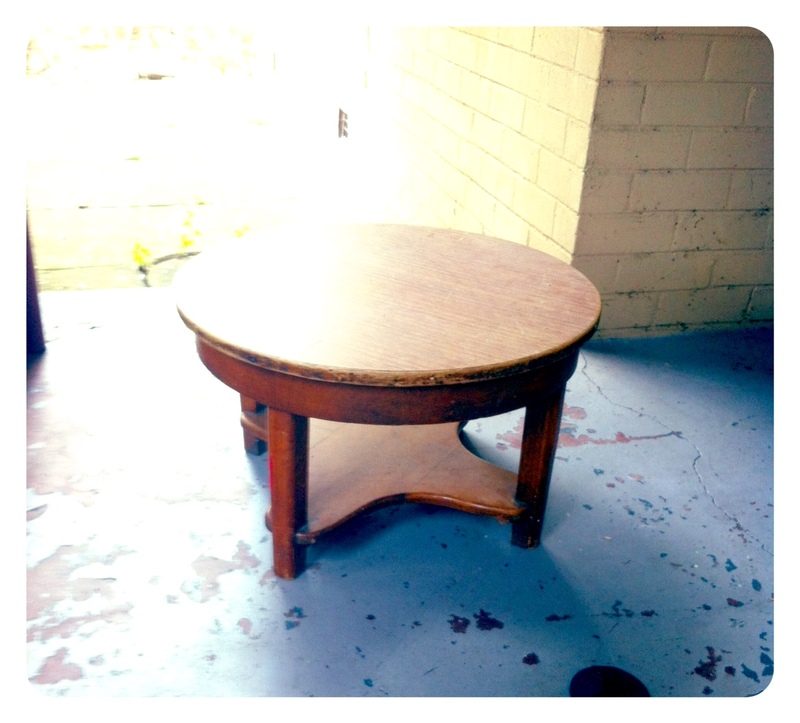 and I just happen to have an old club style side table that i picked up for $2…. 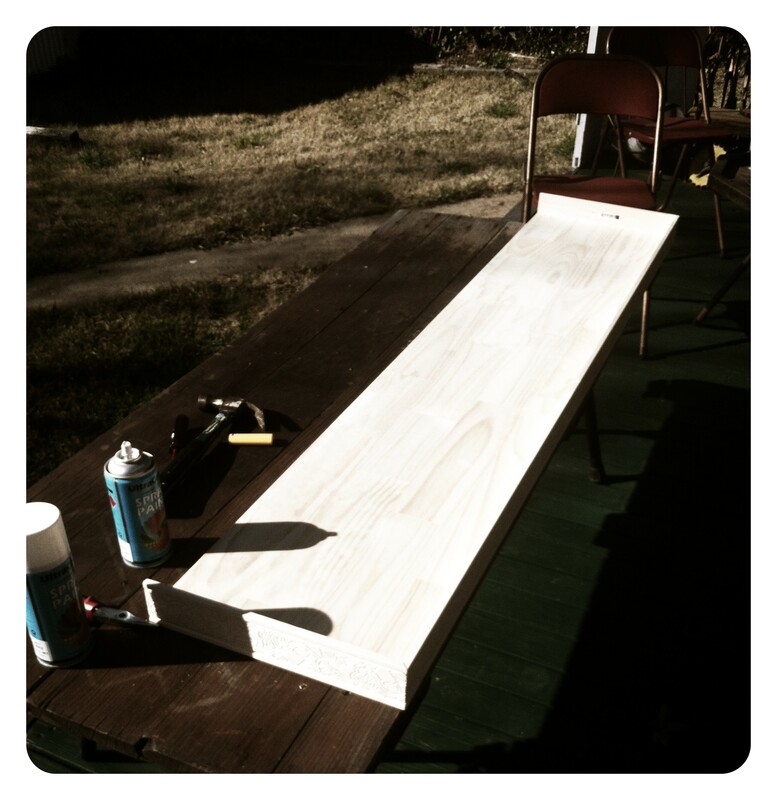 Solid timber base, but at some point someone glued a laminate veneer to the top…. the amount of effort to remove that, when I have no idea of condition of the timber underneath… But you can sand laminate if you want to paint it, or glue things to it…. …. PVA glue…. Vintage maps of Switzerland…. 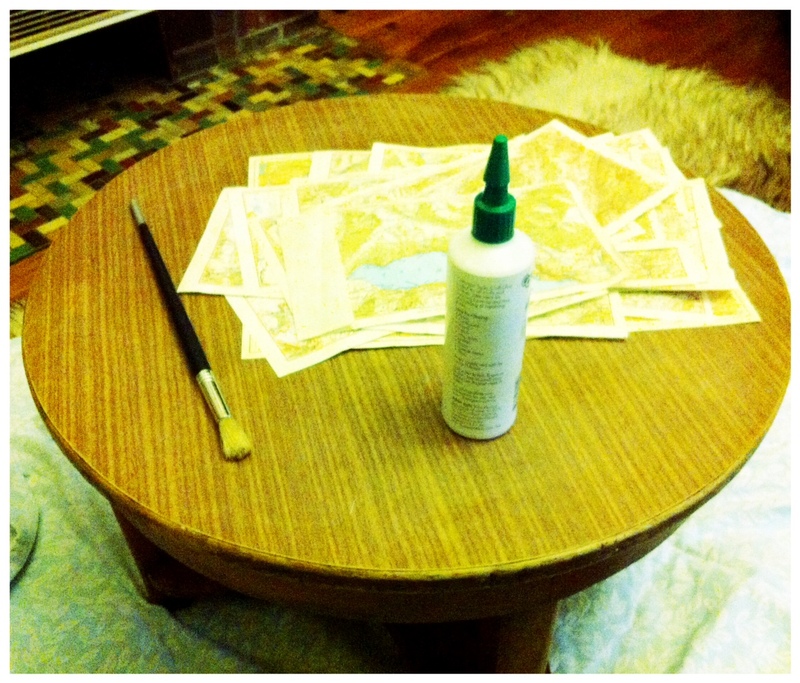 Laminate sanded and ready to be slathered in glue and maps…. My favourite part of any project? 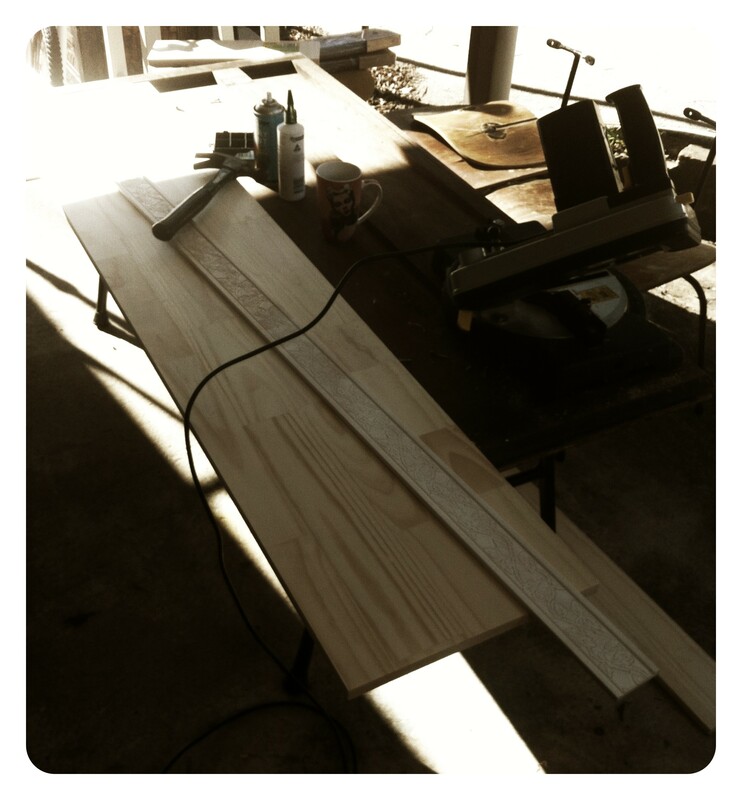 The part where people look at a work in progress, and have serious doubts about what I am doing 🙂 You will have to check in tomorrow to see if this turns into a unique table, or common fire wood…. A small house… with a combined family of 5 kids… the object it to maximise every space, and also make things seem less cramped visually too… on a tight budget… the lounge has many issues, other than the giant TV and cabinet that dominate the room… my usual way of working is to solve the main issue and work outwards from there…. 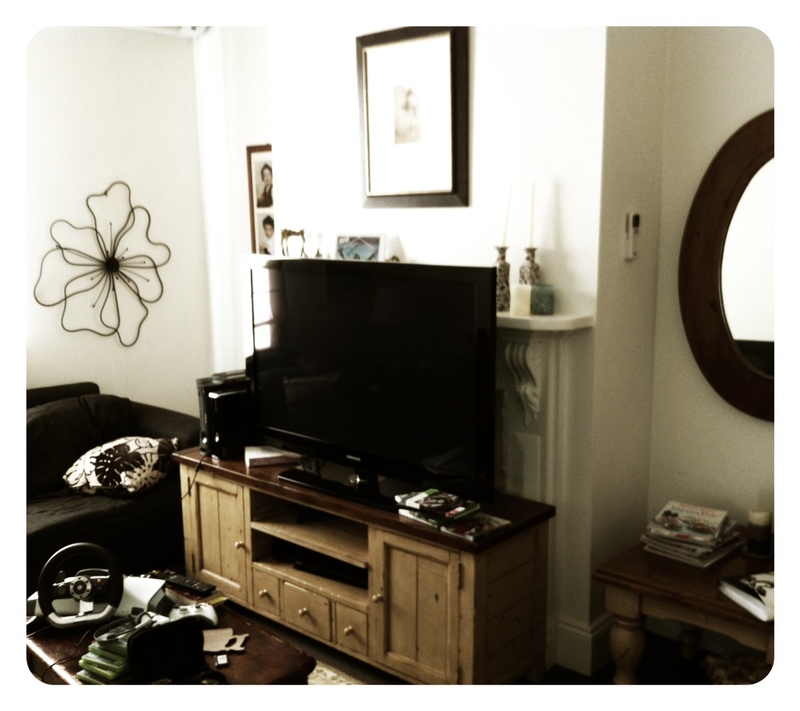 So that’s what I did, the fireplace is my starting point…. The mantle is to narrow, and thin, so I need to balance it out…. 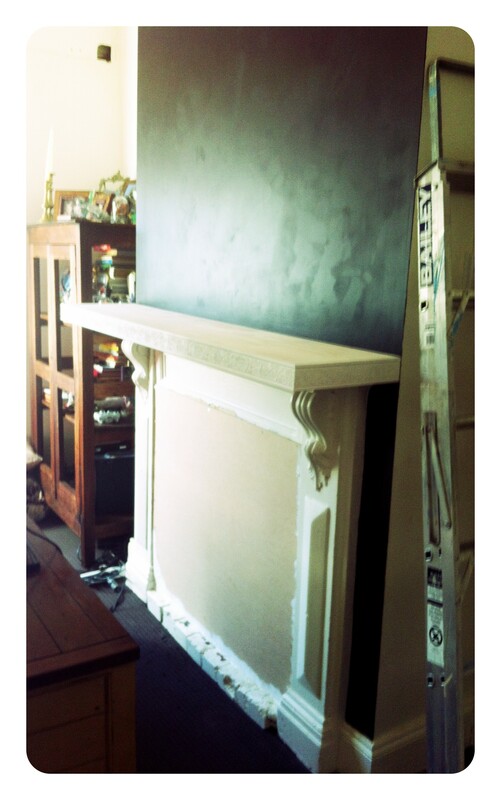 Wall painted black and new mantle in place…. It now spans the full length of the chimney brest… Visually it balances better, the next step is a similar plinth for the floor…. Thankfully I am being allowed to design this room as I go… A trusting client is worth their weight in gold…. 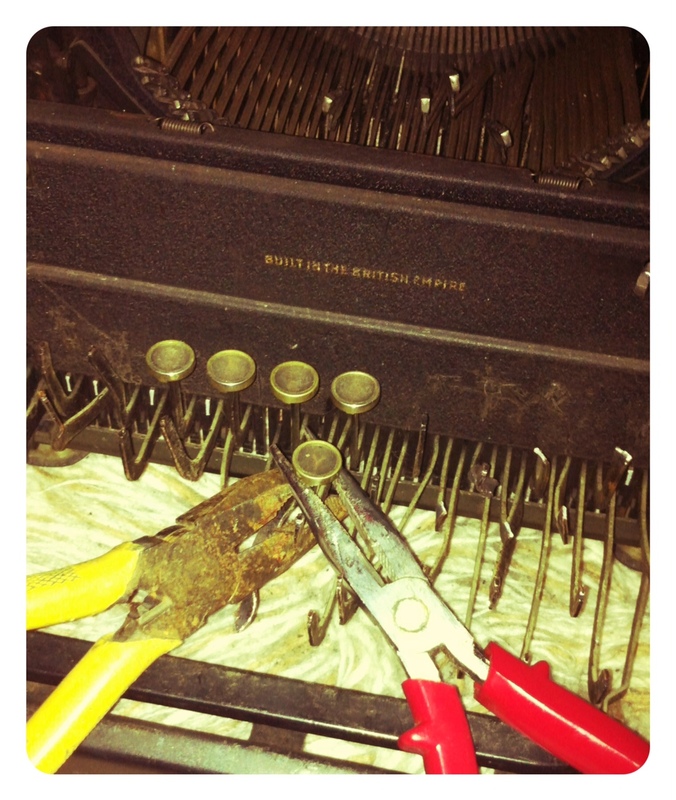 Step 1 – Two pairs of pliers, one to grip the shaft, and one to lever the key off…. Not to tricky… but it does take some practice… I tried several methods, this one worked best…. Step 2 – well there really isn’t one, but in this case the keys were quite grimy, so I am pulling them apart completely, so I can clean the glass and metal separately without risking damage to the letter inserts…. Last Weeks Thrift Shop Booty…..
…and yes I am talking like a pirate today…. Been a while since I mentioned thrifting, didn’t want my ex’s getting all excited that I had quit bringing home “junk”… So a quick update of the things people discarded for me…. First up is something to feed my chair addiction…. 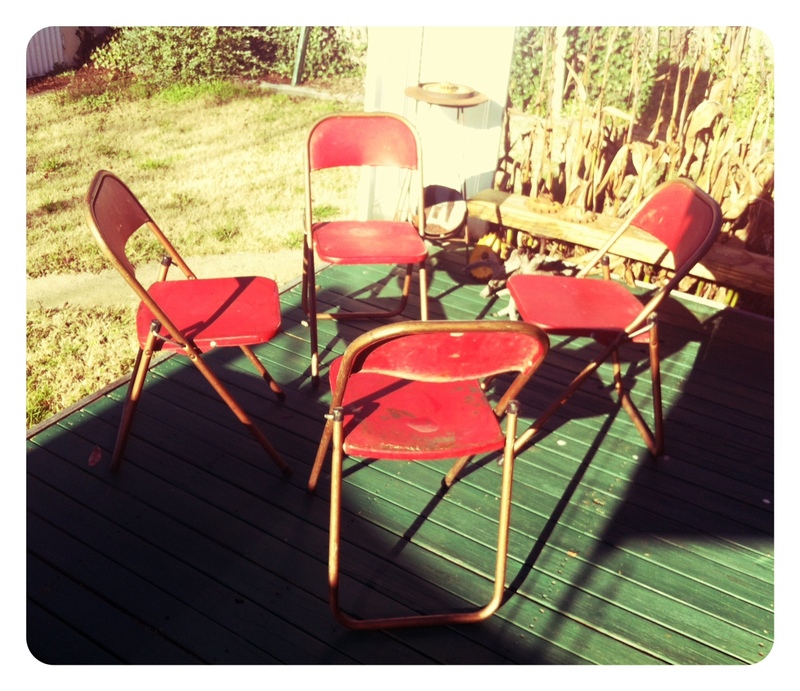 Four folding Sebel chairs, I am starting a sebel warehouse here…. How could I say no, at $3 each? From the same place I also picked up this original art deco door pull…. No idea what to do with it…. 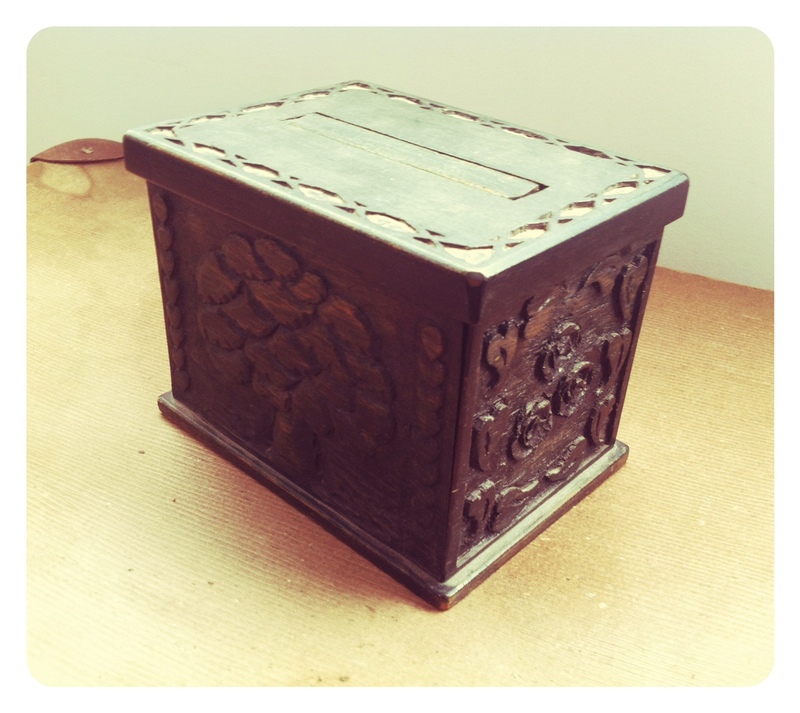 but it is huge and cool and cost $2…..
Also in the $2 pile is this arts and crafts cigarette dispenser.. Signed on the bottom with a nifty little makers mark… You load it up with cigarettes and each time you lift the outside of the box it produces a new cigarette into the holder on top…. 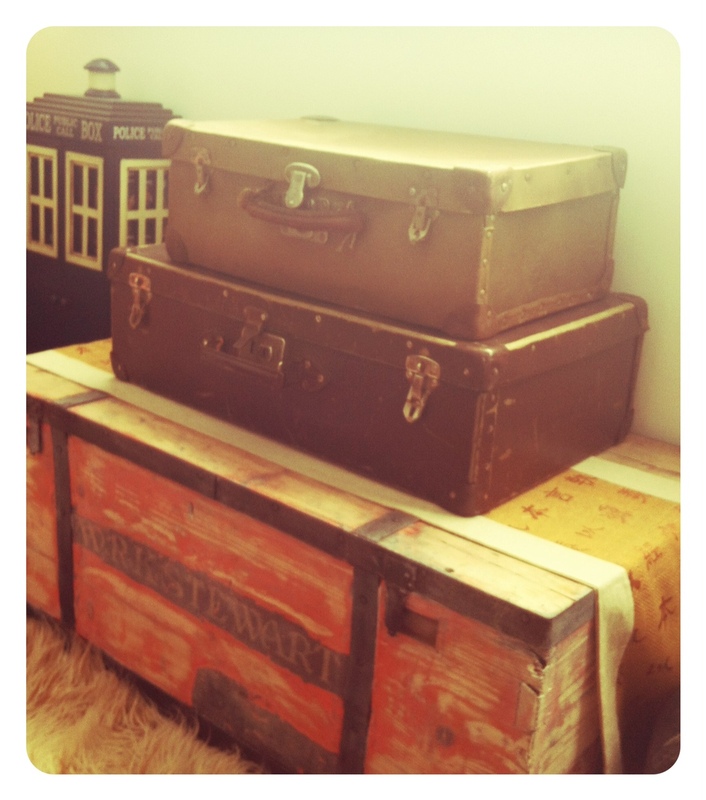 Two more old suitcases to sit around…. 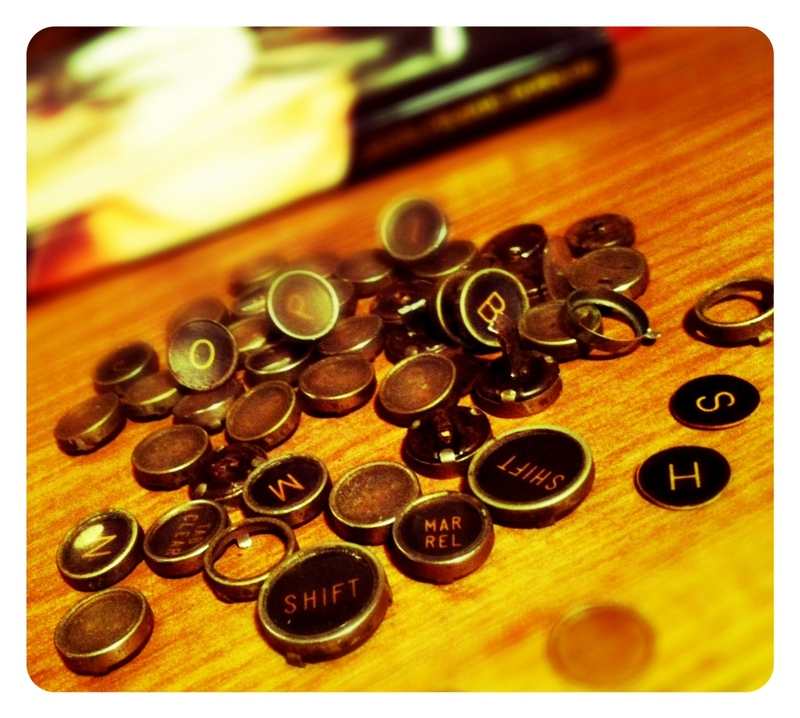 one was $5 the other $2…. They are filled with the kids board games now… which is much better than having hungry hippos on display…. And finally, I picked up the rather cool red glass paperweight for $1…. and it makes a nice silhouette on my living room blind…. So what do you think was the score of the week?